1. Preheat the oven to 180C/350F. Put the potatoes in a large pan of salted water and bring to a boil over high heat. Cook for 15-20 minutes until tender. Drain the potatoes and mash till smooth. Stir in 1 tbsp butter and season generously with pepper. Cover and keep aside. 2. In a wide pan, heat the milk with the bay leaf, peppercorns and parsley stalks. 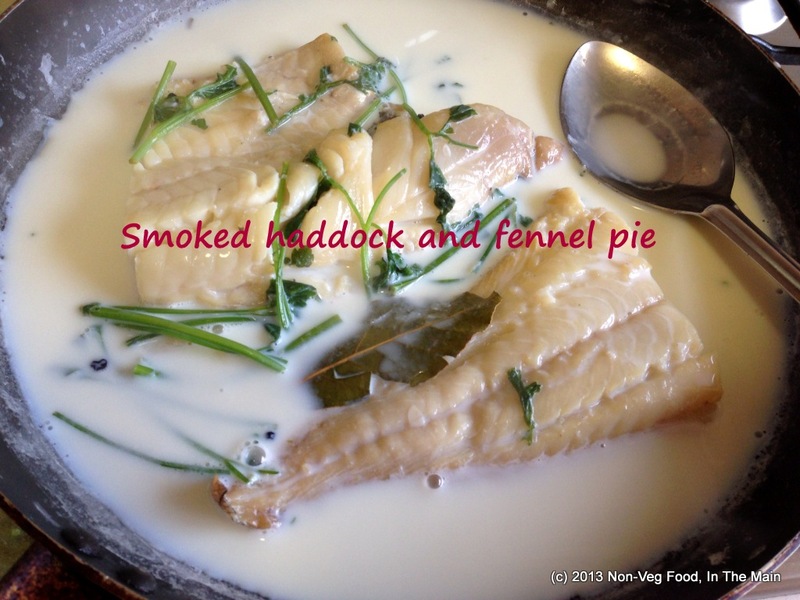 Bring the milk to a simmer, then add the haddock fillet skin side down. 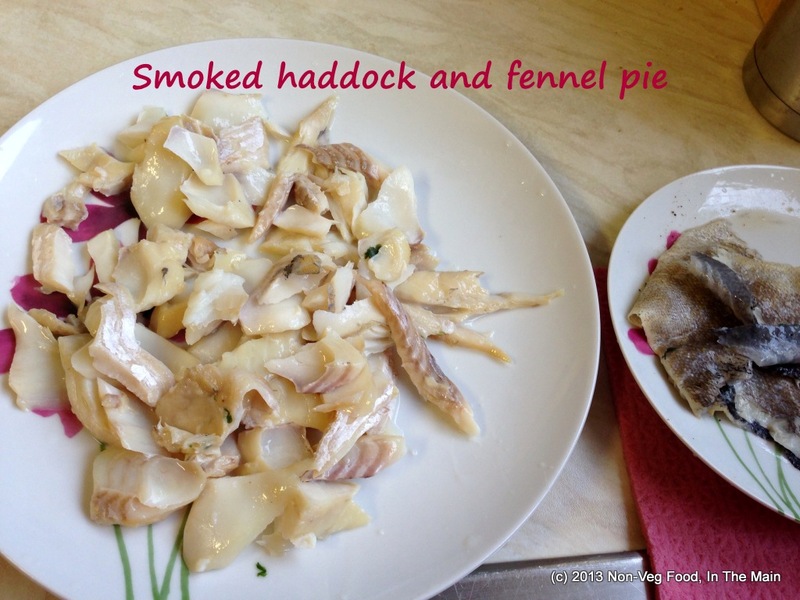 Cut the haddock fillet in half if necessary, to fit into the pan. 3. Simmer the fillets in the milk for 5 minutes, spooning the hot milk over often, if the fillets are not entirely submerged in the milk. The fish is done when the top looks like it is “separating” into flakes. The flakes will seem defined. and flake the fish (it will fall apart easily). 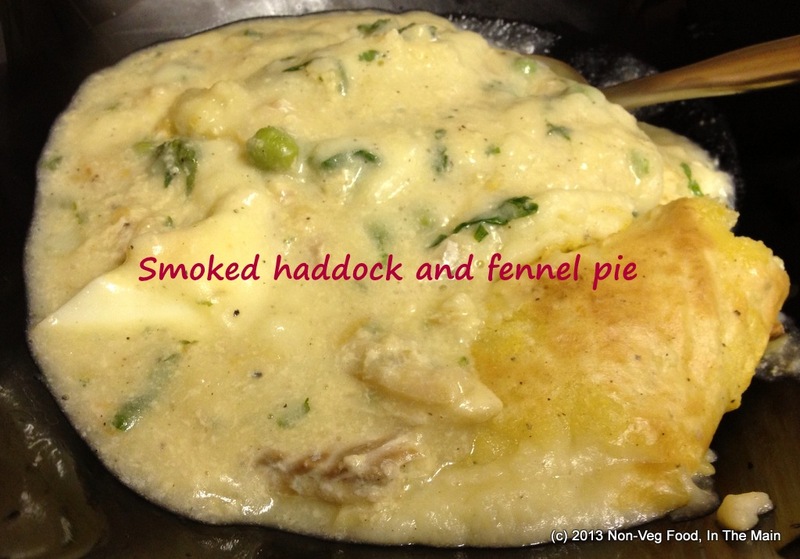 Place the flaked fish in a 7″ casserole dish and arrange the quartered eggs on top. 5. Strain the milk in which the fish was cooked, discarding the solids. Stir in the fish sauce, and reserve till required. 5. In another saucepan, heat the remaining tbsp of butter with the olive oil. 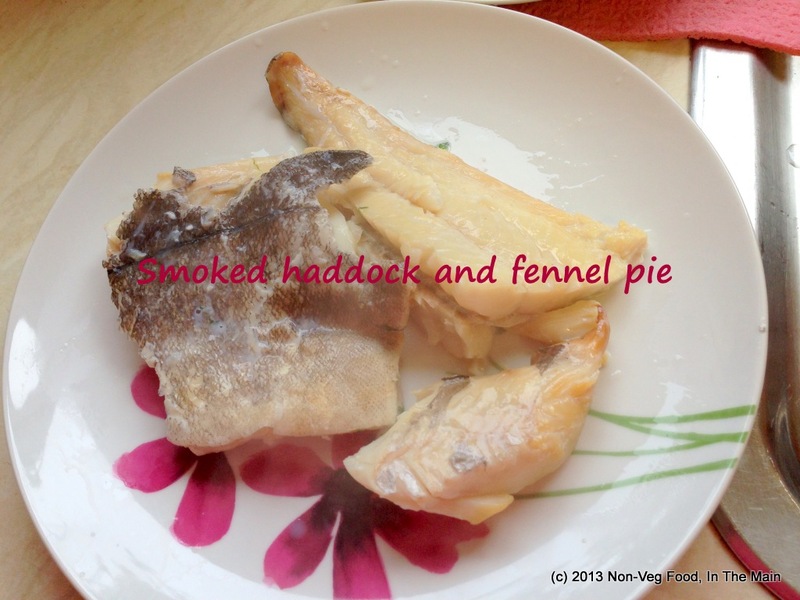 Gently fry the fennel until softened (about 7 minutes). Stir in the flour and let it cook for about a minute, then slowly pour in the milk in which the fish was cooked. Stir constantly over medium heat until the milk thickens to the consistency of double cream. 6. Season with more black pepper powder and stir in the chopped parsley and peas. Cook for another minute, adding about 2 tbsp more milk if the sauce looks like thickening too much. 7. Pour the sauce over the eggs and fish, making sure to cover the fish. Spoon the mashed potato over the top and smooth the surface. Dot with more butter (if liked) and place in the hot oven for 20-30 minutes or until golden on top. Let it rest for 5 minutes, then serve hot along with a selection of roasted veg (parsnip, carrots, cauliflower) and steamed green beans. 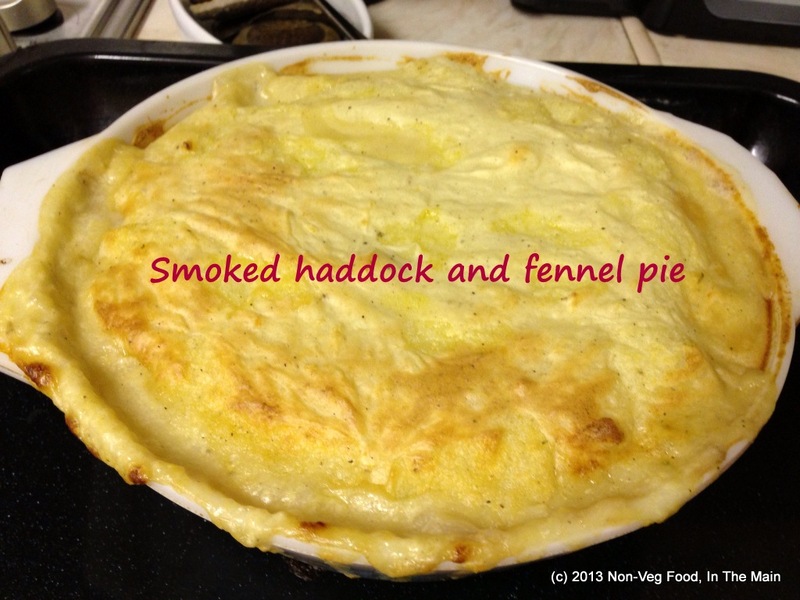 Verdict: Pete loved this version of fisherman’s pie, because he said the flavours went so well together.